H.G.H. Youth Complex™ es una mezcla patentada única de aminoácidos, minerales y algas marinas para soportar una amplia gama de funciones que pueden cambiar con la edad. H.G.H. Youth Complex is a proprietary blend of amino acids, minerals and seaweed, which create a truly unique product that can not be found anywhere else! 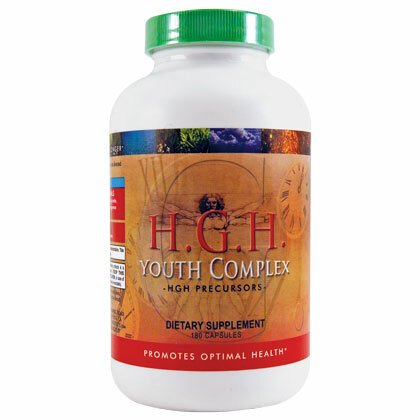 Formulated to help “Live Young – more time” H.G.H. Youth Complex of Youngevity supports functions that can change with age. . Supports healthy levels of blood sugar, immune function, skin, vision, brain function and promotes sexual health * Each capsule contains 8 patented amino acid chelated minerals. Essence Youngevity Mineral (calcium glycinate, iron glycinate, magnesium glycinate, zinc glycinate, manganese glycinate, chromium glycinate, molybdenum glycinate). 5 Anti-aging * stacked amino acids. L-lysine, L-arginine, L-ornithine, L-glutamine and L-tyrosine. DIRECTIONS: Take six capsules a day at bedtime or as directed by your health care professional. WARNING: Accidental overdose of iron-containing products is a leading cause of fatal poisoning in children. KEEP OUT OF REACH OF CHILDREN. In case of accidental overdose, call a doctor or poison control center immediately.